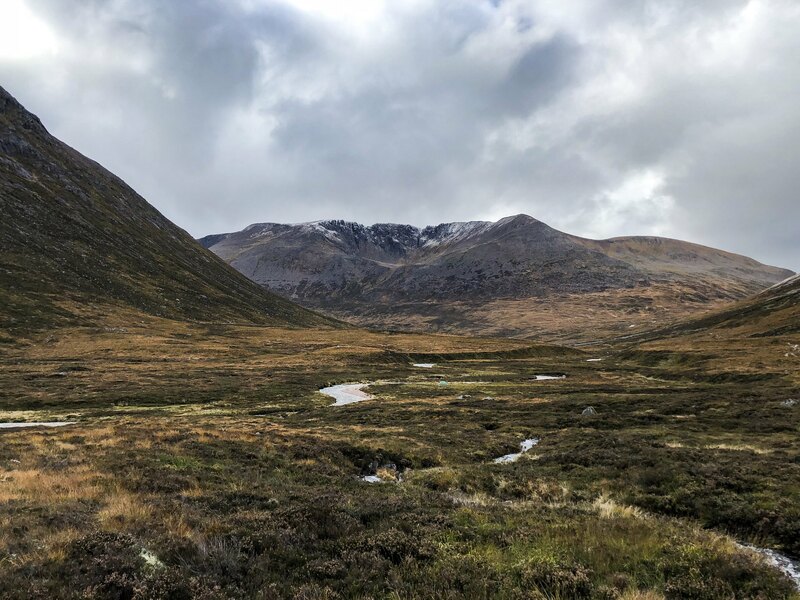 It had been a few months since my last epic walk carrying a large pack and felt now was a good time to squeeze in another before the depths of winter firmly take hold of the highlands. 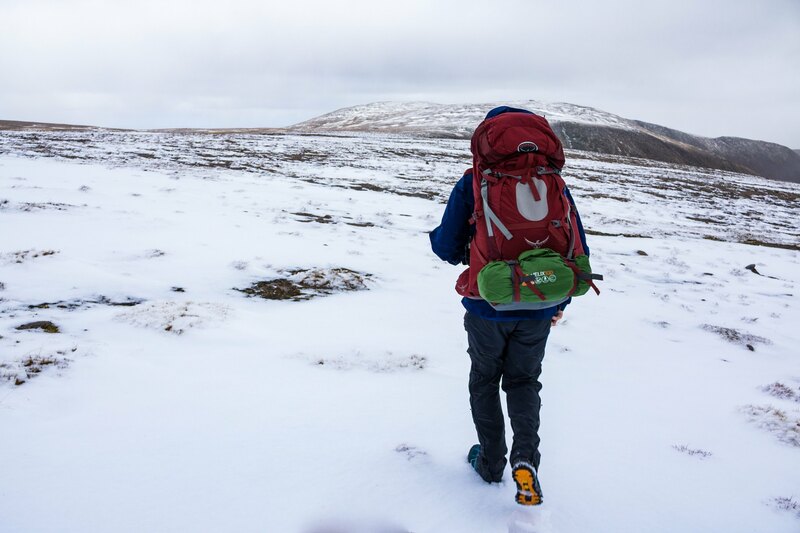 With reports of a few snow flurries in the Cairngorms it seemed like a nice way to ease back into winter walking all be it in September. 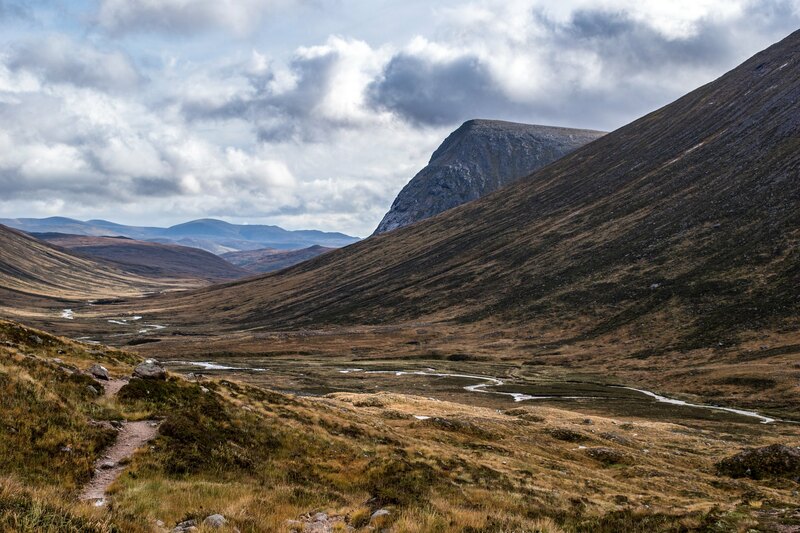 The fabled Lairig Ghru was our aim for a 2 day expedition seeing us bag some of the highest mountains in Britain. We set off from Greenock at 8:30 am on Friday heading for the Sugar Bowl car park in Aviemore. 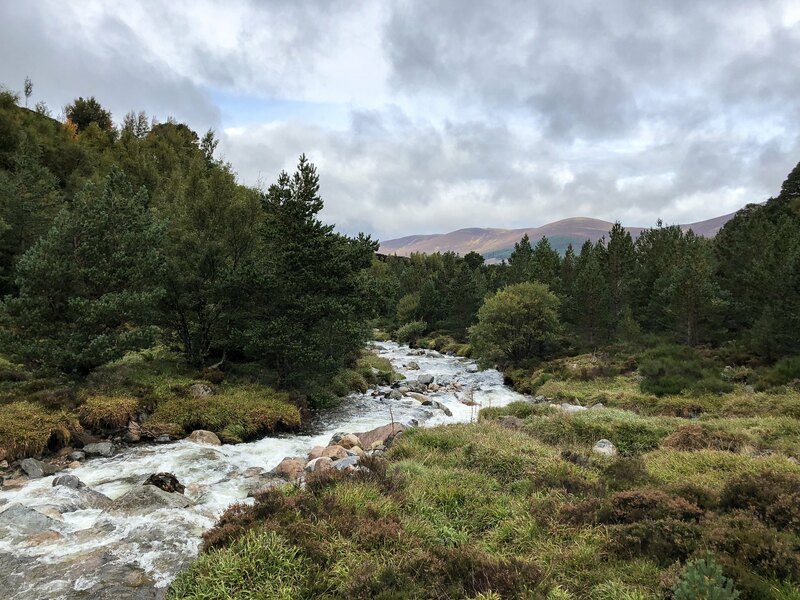 Arriving at midday was synchronized with the tail end of heavy showers with drier conditions developing for our walk towards Corrour Bothy. Starting our hike at about 12:15 we headed onto the path towards the Chalamain Gap. 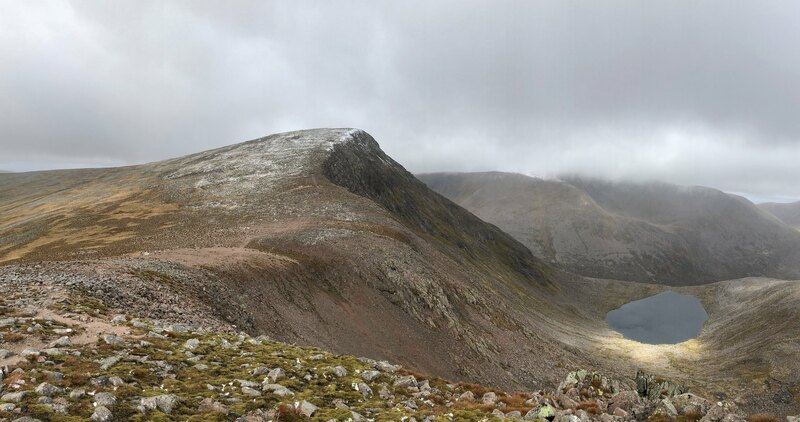 Looking back at our progress from the car park with Meall a'Buachaille in the distance. The Chalamain Gap just ahead. 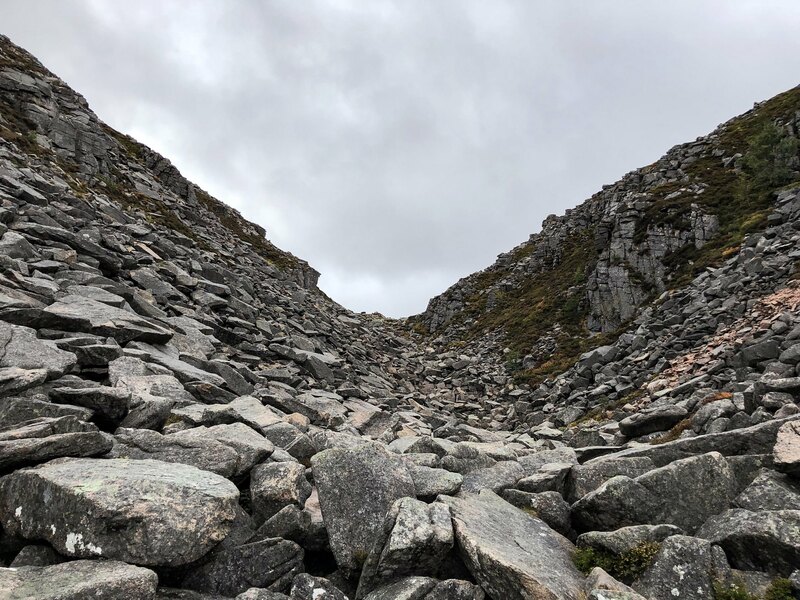 A boulder field in a narrow ravine marking the entrance into the Lairig Ghru. I really enjoyed the scramble up over these boulders. Brings a bit of excitement and variation in a long walk. Sam and Stuart carefully making their way up the ravine. 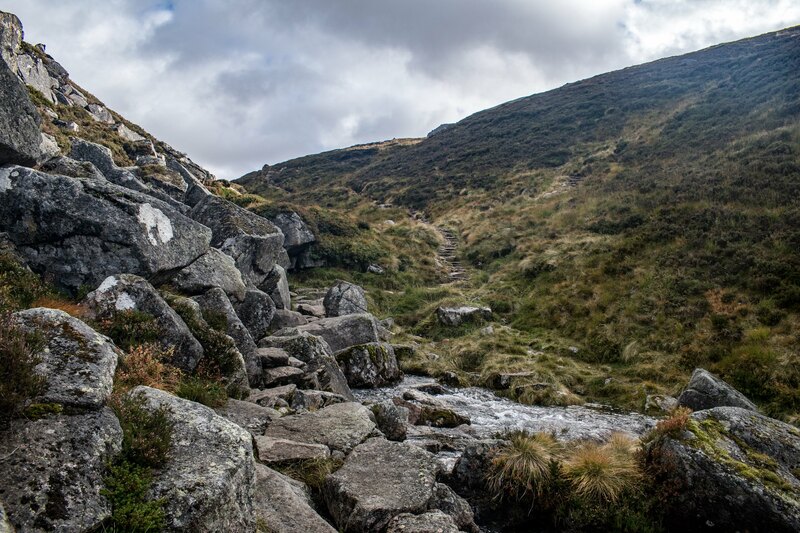 From the Chalamain Gap we descended down and came across this impressive little water feature. An underground river flowing through huge boulders. Great place to refill the water bottles. 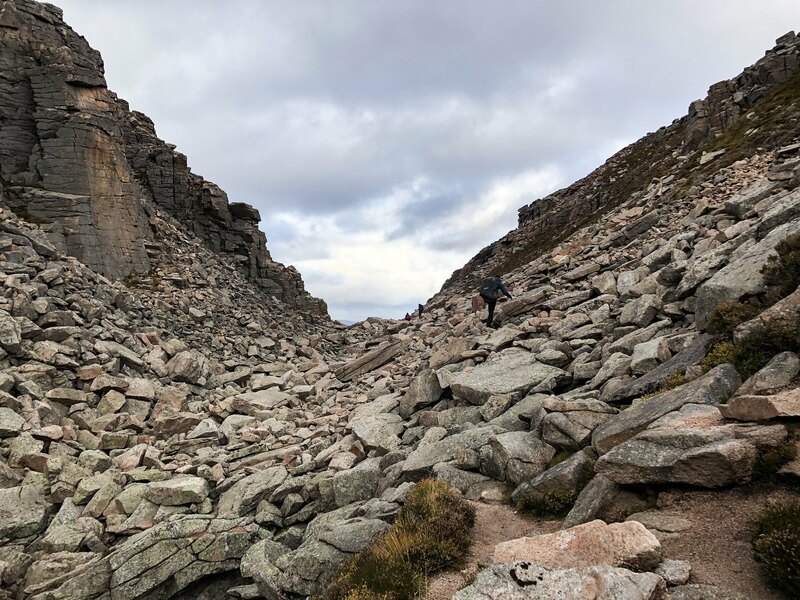 At this point you have the choice to climb up onto Braeriach or continue down the Lairig Ghru. 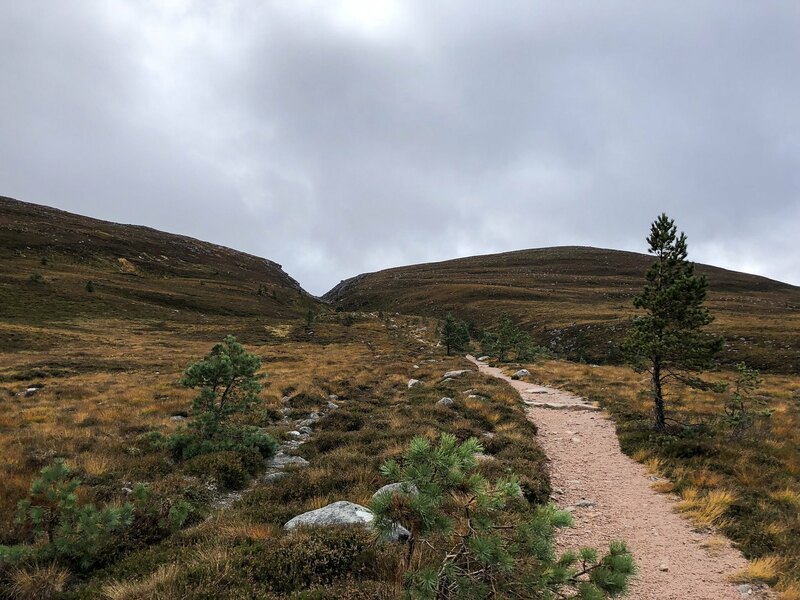 Our plan was to hike to the Corrour Bothy through the Lairig Ghru and then return via the high route over the Munros the next day. 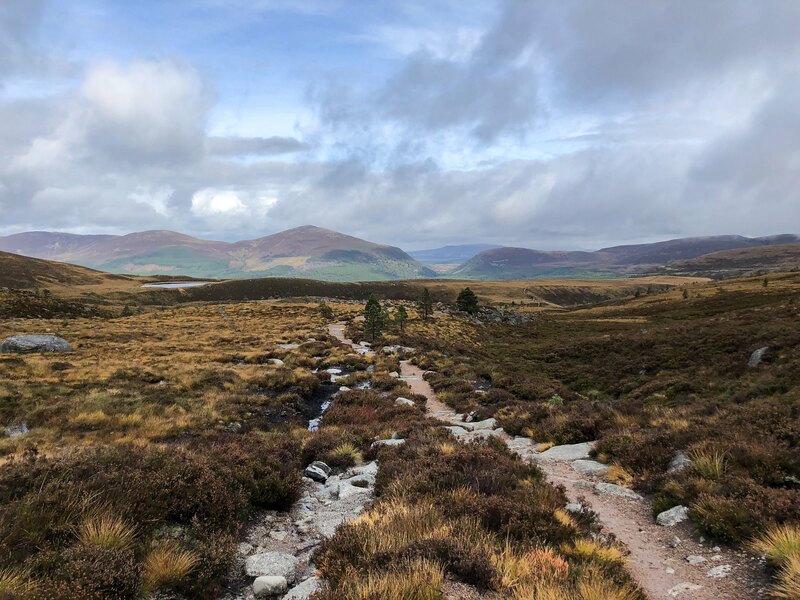 The walk led us up towards the Pools of Dee before the view really opened out to the south and revealed some stunning scenery. 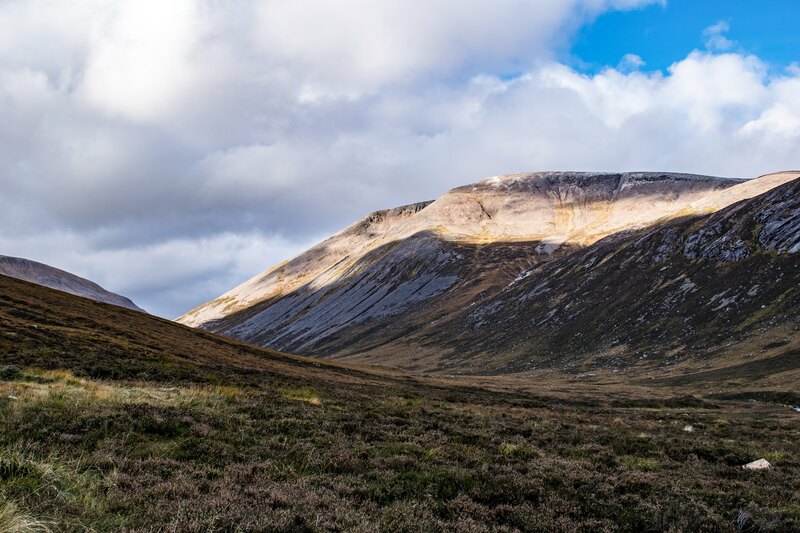 Looking westwards up Garbh Coirre. 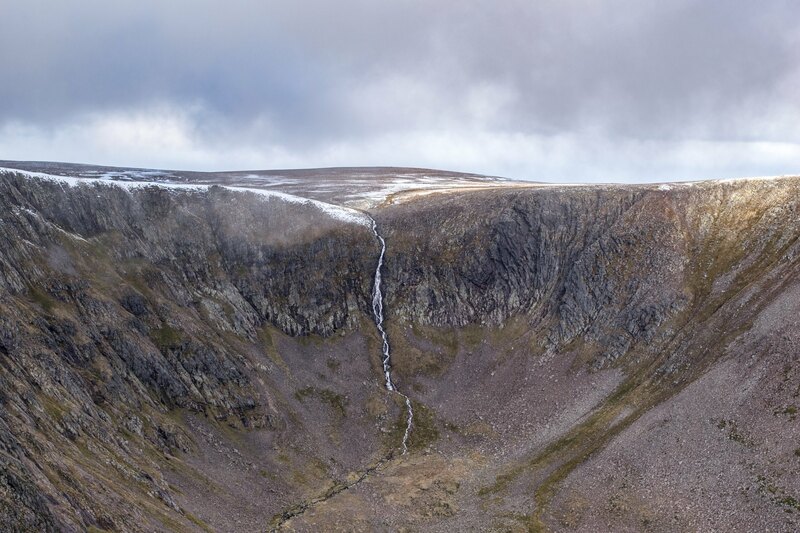 If you strain hard enough you can just make out the little refuge that sits at the bottom of the waterfall coming off Lochan Uaine. The Devil's Peak poking out from behind the corner. 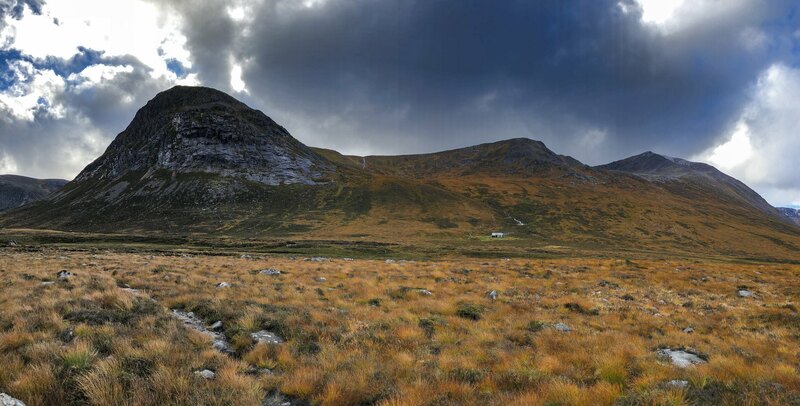 The bothy sits at the base of this mountain so it gave us a good indication as to how far was left to go. 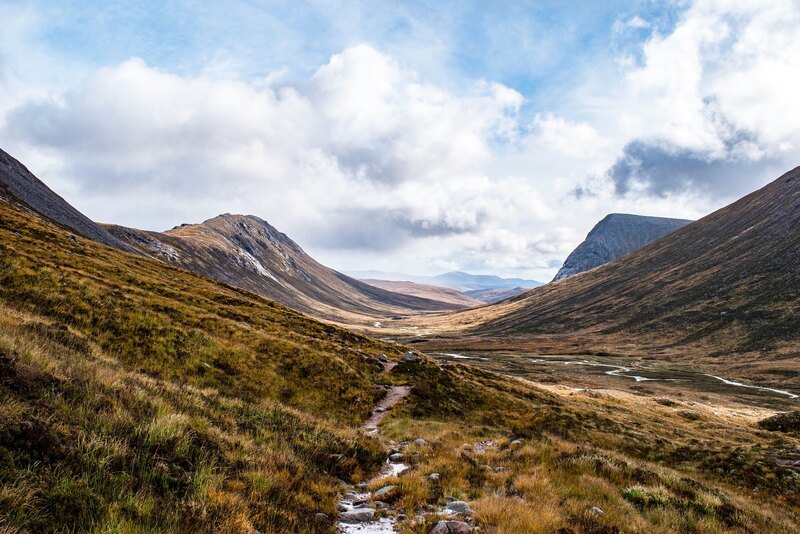 Looking north up the Lairig Ghru with Coire Bhrochain and Braeriach taking center stage. 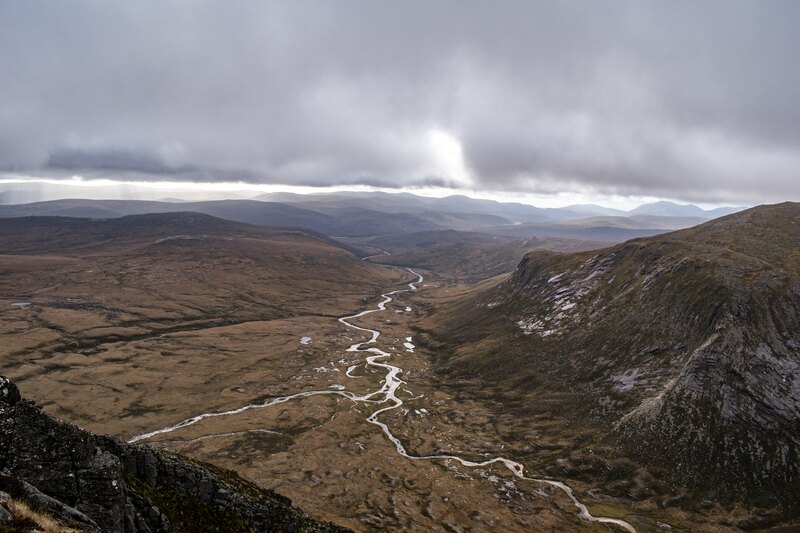 Corrour bothy really does have a spectacular position in the Cairngorms. The sun setting on the Ben Macdui massif. Reached Corrour bothy at 5pm with a few occupants already making themselves comfortable. 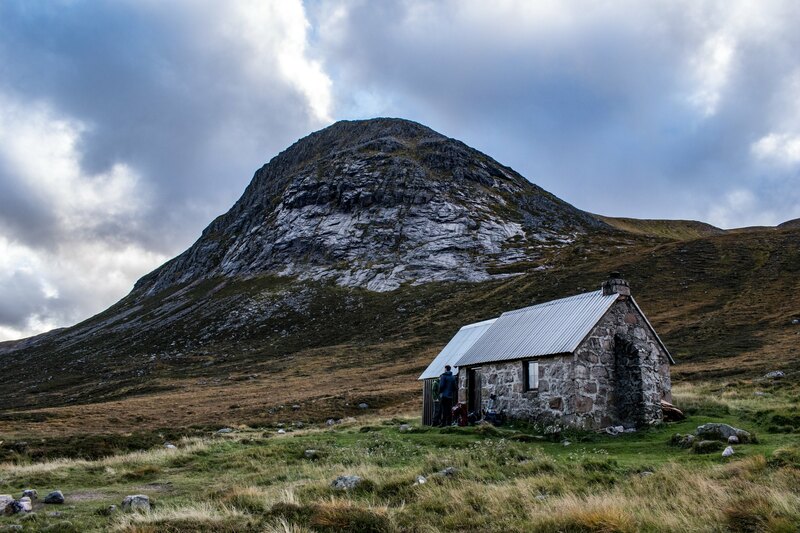 I was really looking forward to only my second time staying in a bothy. With a total of 13 of us all claiming a space it was a great night of chatting away with the different inhabitants. A family of 3 Canadians, an English couple, 2 scout leaders and 2 older gentlemen along with myself, Sam and Stuart. Also can't forget Senca, the English couple's dog which was loving the attention being paid to it. With the conversion flowing until midnight it was hilarious when it came time to set up for bed. Not an inch of floor was free after everyone had set up their sleeping arrangements. A single person more would have been too many! The next day we awoke at 8:30am and were quickly packed up and ready to hit the trail for 9am. The body heat and solid structure of the bothy made for quite a pleasant sleep that night so we were all raring to go from the off. 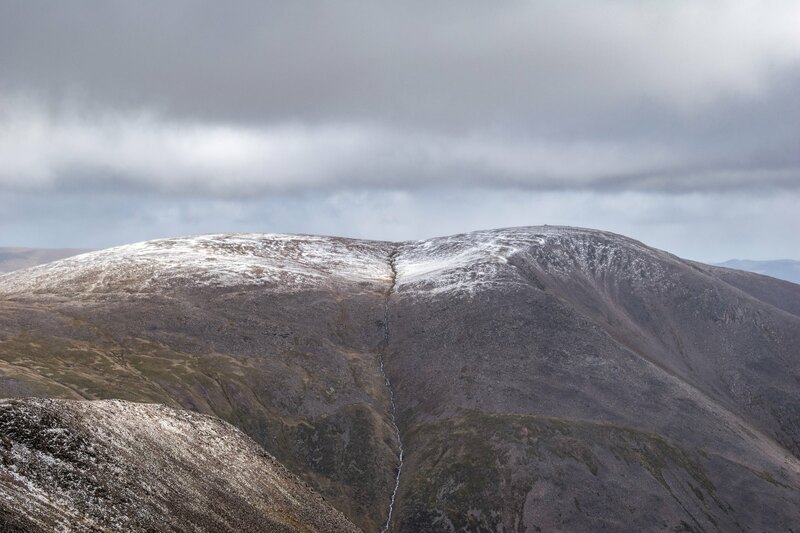 Saturday was forecast to be better weather so we looked forward to maybe getting some good views on the tops. 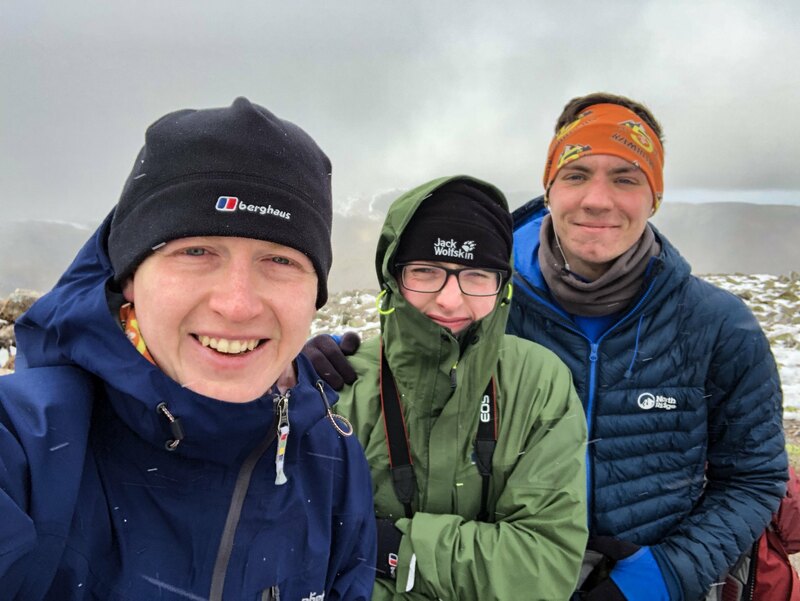 We made short work of the first munro due to only 450m of ascent required. We reached the summit of the Devil's Peak at 10am. 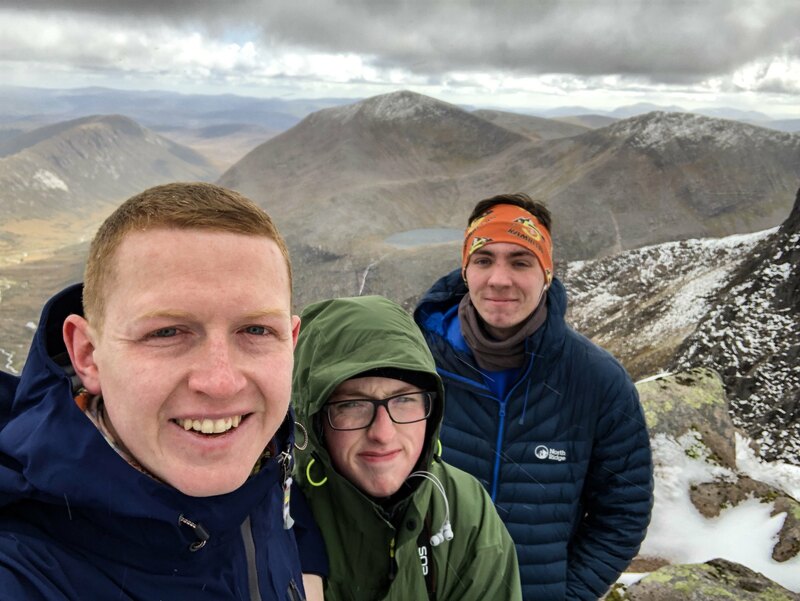 My 164th Munro. Some rays of sunlight breaking through the dense cloud. 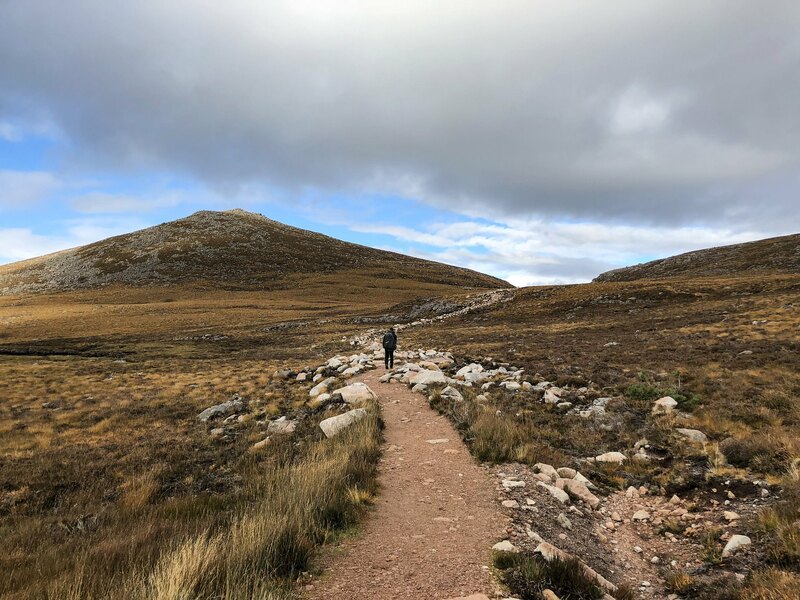 Our from the Devil's Point then headed north taking us over the Munro top Sob Coire an t-Saghdeir. 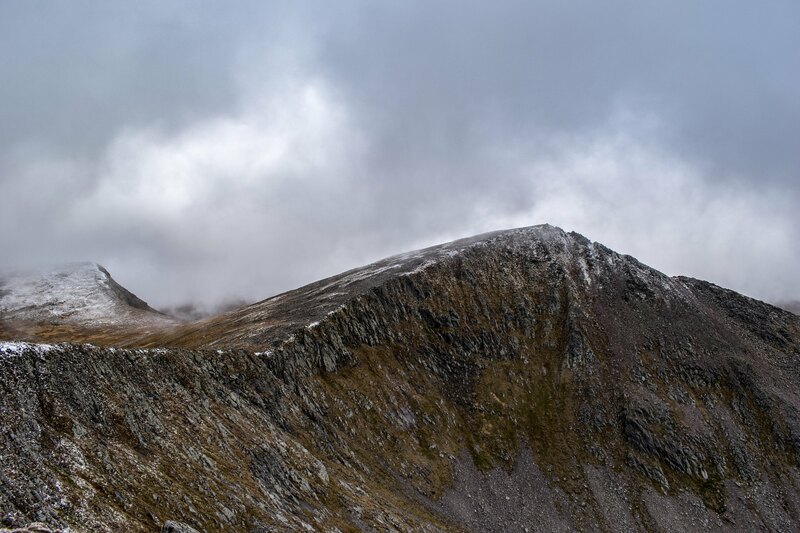 Climbing up onto Cairn Toul became quite wintry with some hail coming down onto the dusting of snow already laying. 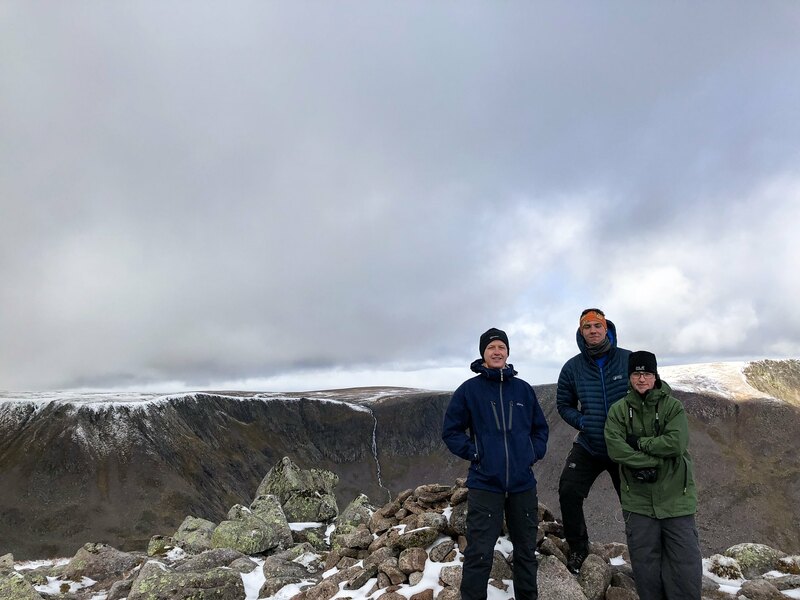 Summit of Cairn Toul at 11:45am. Munro number 165. From the Angel's Peak we got some great views over to Braeriach as the weather began to briefly clear. 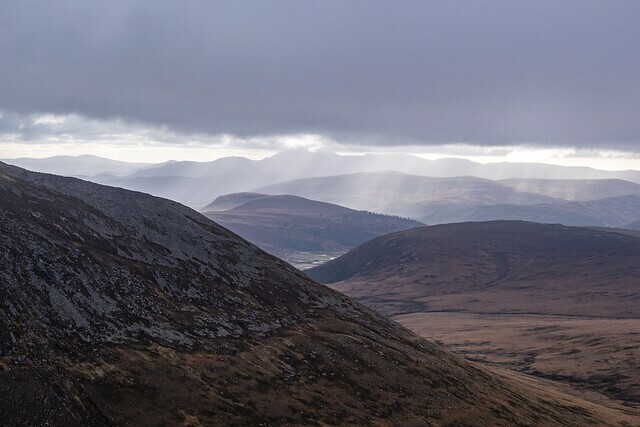 Braeriach basking in some sunlight. The Falls of Dee, the waterfall marks the beginnings of the River Dee. Summit of Sgor an Lochain Uaine at 12:30pm. 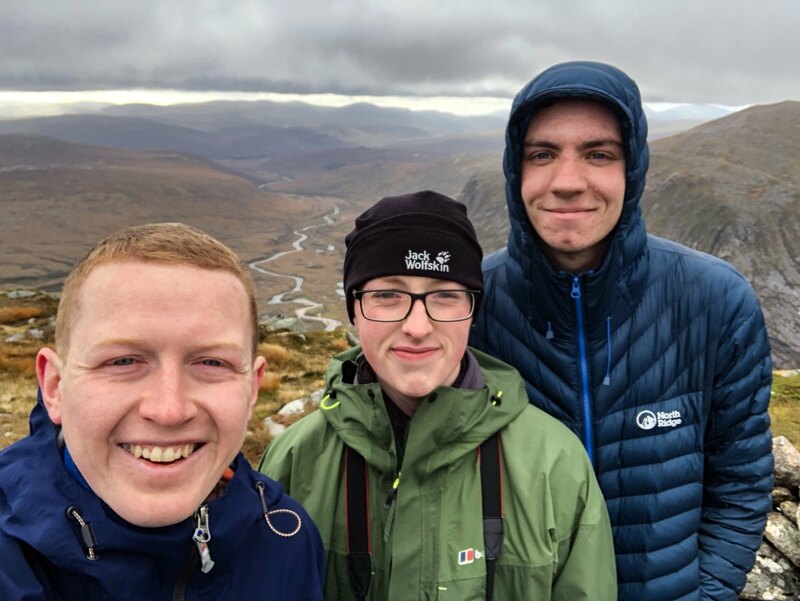 Munro number 166 in the bag. Looking over towards Sphinx ridge where the famous Sphinx snow patch survives. 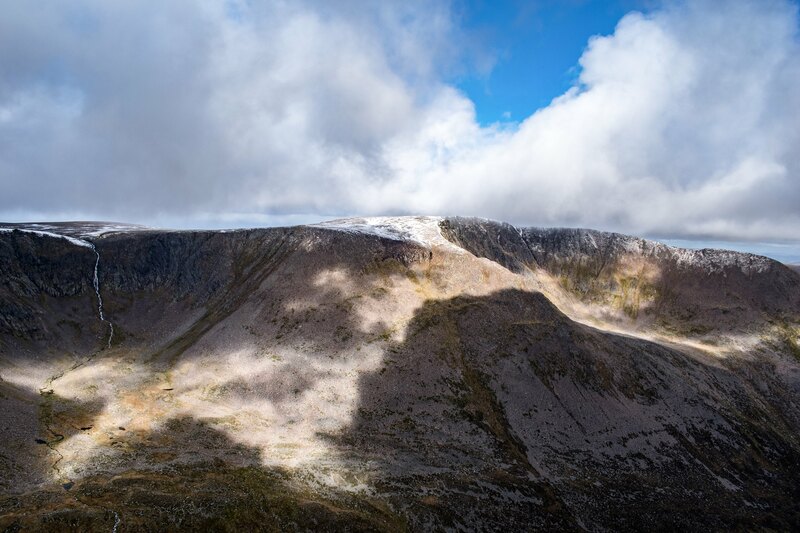 This is a patch of snow which has only melted 6 times in 300 years. 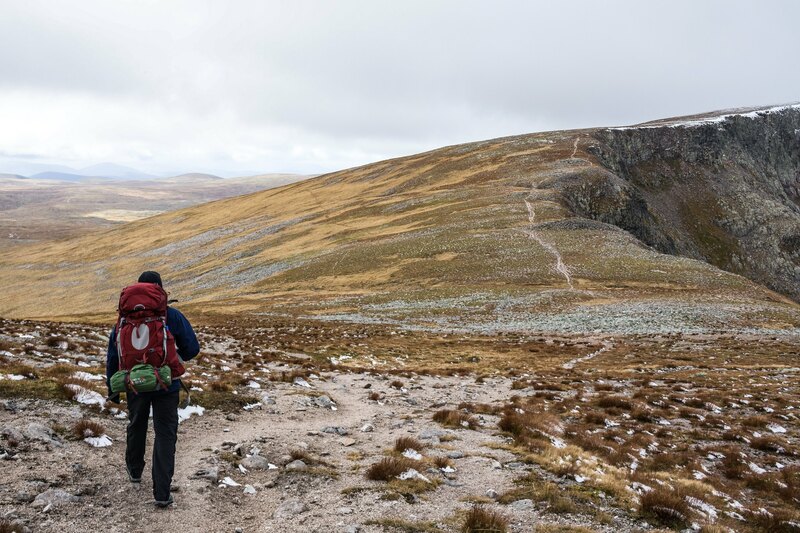 Me leading the way up round onto the Braeriach plateau in search of our final Munro summit. 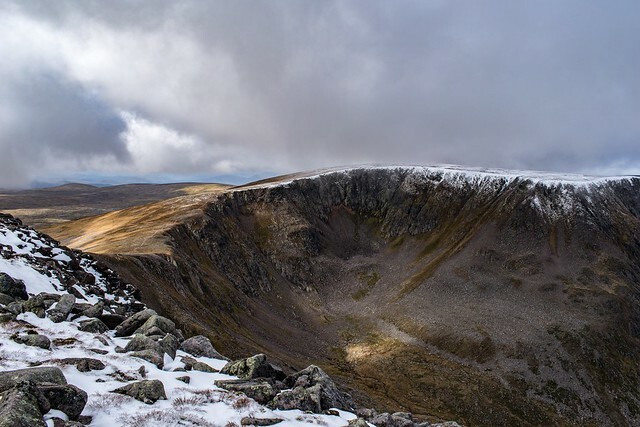 The Plateau had a generous helping of snow on the ground which was to be expected from Scotland's 3rd highest mountain. Final summit of the day. 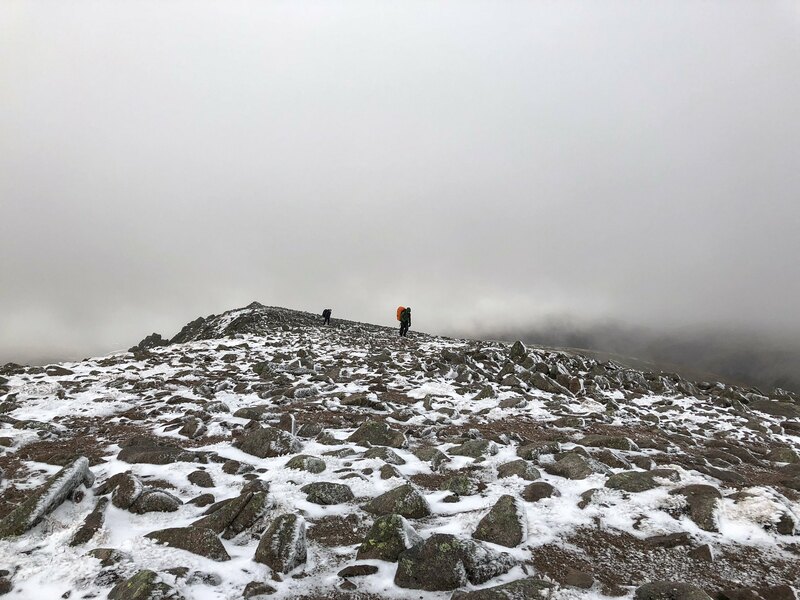 Braeriach at 2pm - Munro #167. Ben Macdui clear enough to see the summit. 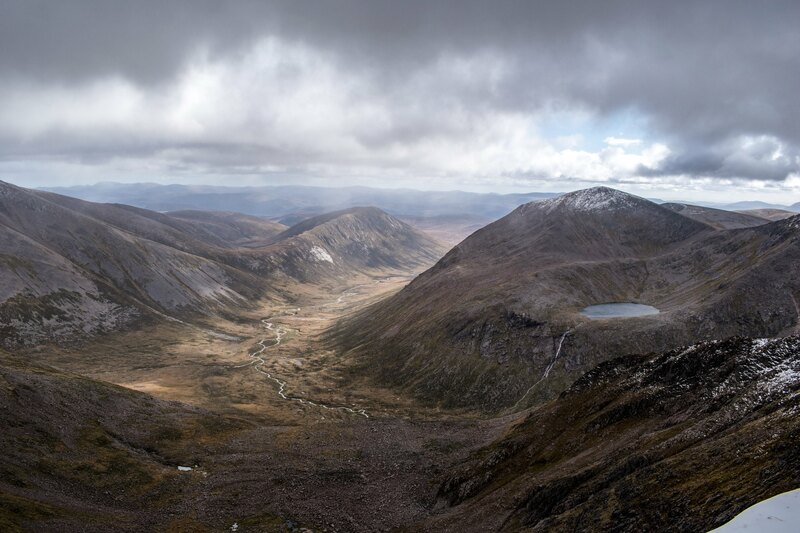 Fantastic view of the Lairig Ghru from up here. 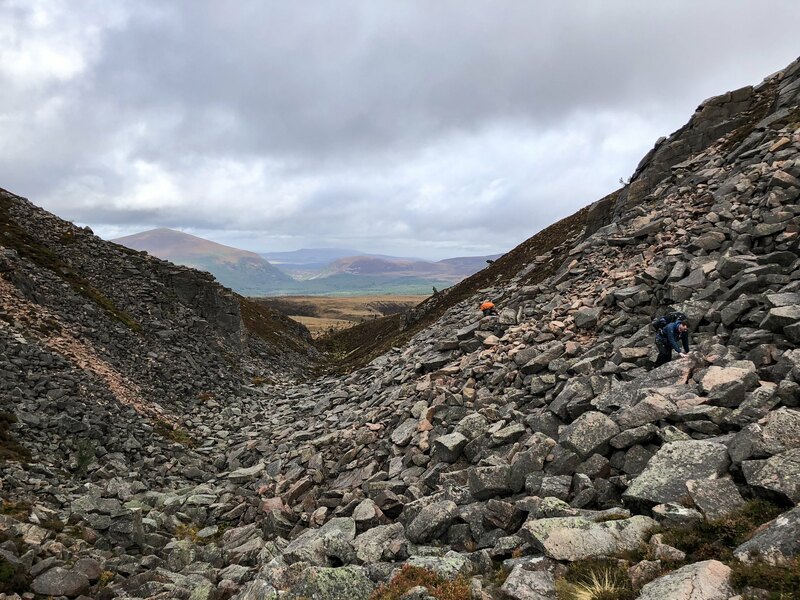 We descended off Braeriach to the northeast onto Sron na Lairige before following the ridge back down into the Lairig Ghru. From there it was a climb back up to the Chalamain Gap. Back down through the ravine as we headed back to the Sugar Bowl car park. Crossing the Allt Mor at 6pm signified our return to civilization. Had an incredible time on this 2 day trip and so happy we got good enough weather to take some amazing photos. 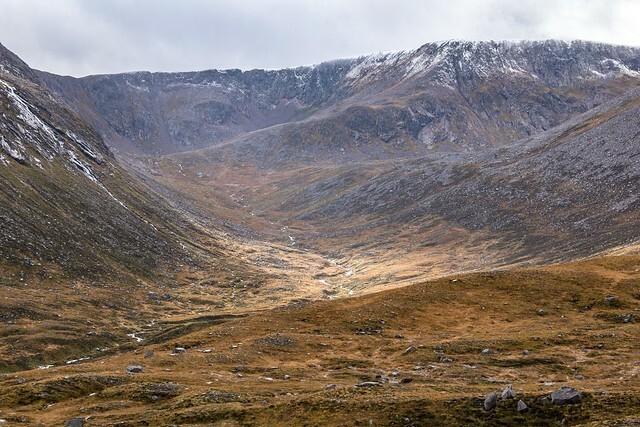 Definitely need to come back and visit the Garbh Coire Refuge and maybe tackle the Angel's Ridge. 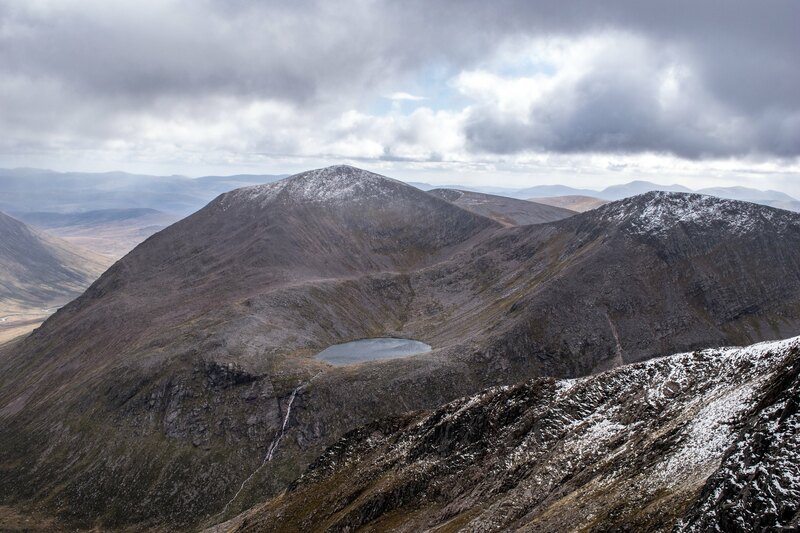 Cracking pics and a classic walk too. Nice one. A classic route great pics.